Corot's practice of painting directly from nature lasted throughout his long career. His ability to paint the transitory effects of light with subtlety and sensitivity is most characteristic in his landscapes. 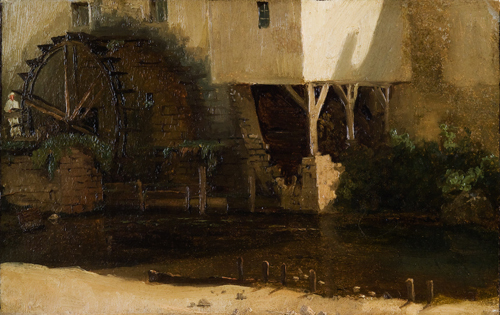 The simple composition of The Mill Wheel, with its subtle tonal and almost monochromatic color gradations, also shows Corot's interest in the new medium of photography.